Expansion plans set to create 35 new jobs at the popular Wentworth Garden Centre in Rotherham have been approved. The destination garden centre is situated in sixteen acres in the former walled kitchen, Italian and Japanese gardens of Wentworth Woodhouse and in the picturesque historic village of Wentworth. It attracts approximately 284,000 visitors each year. Established for more than 30 years, the family owned independent centre has undergone a number of improvements and investment projects, with historic gardens, a craft centre, family farm and a landmark 260 seat restaurant. After initial plans were withdrawn, a revised development scheme, drawn up by Malcolm Scott Consultants, is for 9,600 sq ft of space split into three buildings. It involves replacing the existing conservatory display area and replacing it with high quality structures. The design will create a courtyard which links to the existing courtyard. The development will allow the operation to extend its Orangery Restaurant and launch a deli food hall and second catering outlet. The consent took several months of negotiation with Rotherham Council to reach agreement due to the extension being a large development located both within the Green Belt, adjacent to Conservation Area, but also due to it being based within the setting of a Listed Building. Chris Primett of Malcolm Scott Consultants (MSC), said: "The key to a successful outcome like this is to be realistic in terms of what development is proposed, whist also continuing to make the business case for such a development in such a highly sensitive area. 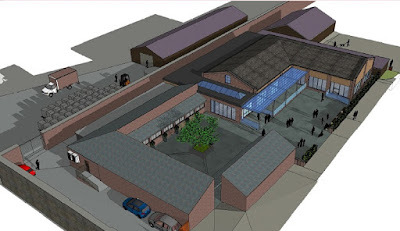 "This permission will have a marked impact on Wentworth Garden Centre, and we were able to prove that such an extension to the centre would not only be in-keeping with the sensitive surroundings, but also within the local interest, providing a much-used asset for visitors and jobs within the area." Tony Airey, owner of the centre, said: "The existing Walled Garden Coffee Shop and Restaurant was built about seven years ago. At that time that we thought we might struggle to fill it but experience very quickly dispelled that notion. 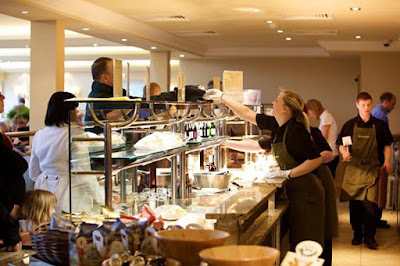 "As with all garden centres, catering tends to drive footfall and Wentworth is no exception. This new project will provide a further 150-plus seats and enable us to add different menus, table service and an improved ambience. Afternoon teas are very important to our operation, and this development will give us all the options we need. "MSC was vital to achieving this result in terms of our initial "shopping list". Close liaison with the planning authority which has developed over several years with Chris Primett and his colleagues working on our behalf, has definitely helped in achieving our aims. "As a business, we have always tried to work with rather than against the planning authority and this fostering of good relationships definitely helps when looking at projects in the medium to long term."